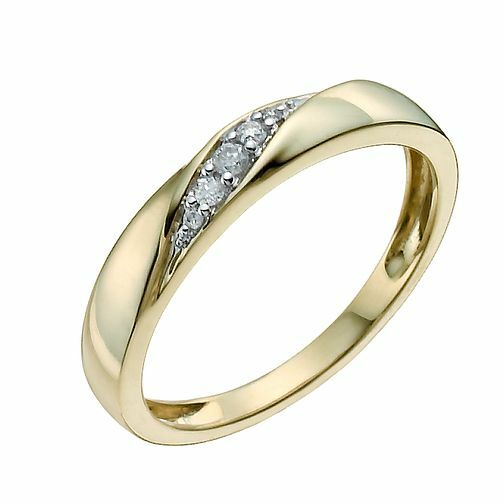 A gently twisting 9ct yellow gold ring, adorned with a delicate, sparkling diamond embellishment. Subtle, contemporary design for the modern woman. 9ct Yellow Diamond Set Ring is rated 5.0 out of 5 by 7. Rated 5 out of 5 by Anonymous from A beautiful ring Bought this engagement ring because of its design features. Looked even better when worn. Beautifuly subtle.